In lawsuits involving police misconduct and civil rights violations, something known as the “qualified immunity defense” will more than likely be brought up by the defense attorney. This specific defense exists to prevent the fear of legal prosecution from inhibiting a police officer from enforcing the law, balancing the need to hold public official accountable and the need to shield officials from liability when they perform their duties reasonably. What does this mean for the plaintiff? The plaintiff must prove that the officer’s conduct violated a clearly established constitutional or statutory right. When determining whether or not a right was “clearly established,” courts consider whether a hypothetical reasonable official would have known that the defendant’s conduct violated the plaintiff’s rights. It’s important to note that the courts conducting this analysis apply the law that was in force at the time of the alleged violation, not the law in effect when the court considers the case. Additionally, qualified immunity only applies to suits against government officials as individuals, not suits against the government for damages caused by the official’s actions. Qualified immunity is immunity from having to go through the costs of a trial at all, so it’s crucial to know your rights as a citizen and to collect any evidence to support your claim. 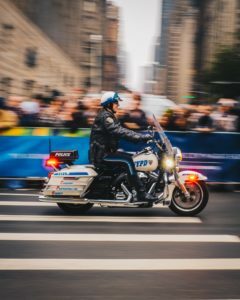 In order to win a civil rights claim, an individual bringing a police misconduct claim must prove that the action of the police exceeded reasonable bounds, infringed the victim’s constitutional rights, and produced some injury or damages to the victim. If you have suffered damages or injury following an interaction with law enforcement that you believe was unlawful, immoral or unethical, we would be honored to meet with you, free-of-charge, to discuss your case and help you determine the most effective way to seek justice.